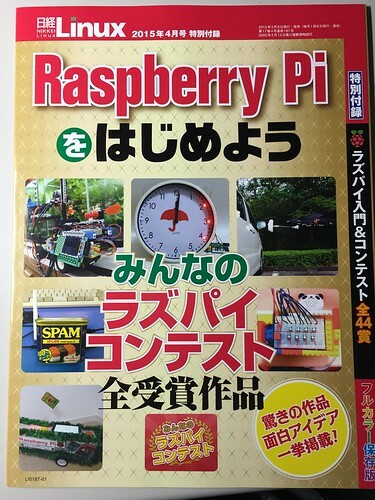 Wood Strand Beest, one of our products, was published “みんなのラズパイコンテスト(Minna no raspi contest; Raspberry Pi contest for everyone)” on March of 2015. The special appendix of the NIKKEI Linux magazine was sent to my house. the motion of Wood Strand Beest is like that. I appreciate to the members of Team “TD&T” and the people involved. I’ll make something interesting with Raspberry Pi someday. 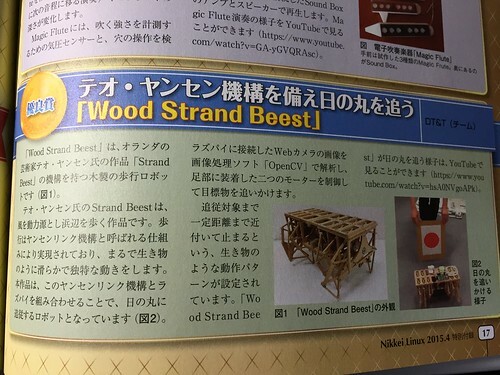 I went to see “strand beests” made by Theo Jansen. I came back to Japan and started Job hunting.